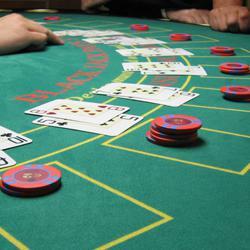 A lot of players are feeling slightly confused about the new version of blackjack that has been around casinos lately. The name of the game is Double Attack Blackjack and it is a variation of the classical blackjack. The twist in this game is that there are different rules for the dealer, which is a different idea from all other versions of blackjack. In a round of Double Attack Blackjack, players place their wagers as they would in a normal blackjack game and when the cards are dealt the dealer’s up card is dealt first. This is a nice hit to the dealer’s odds and it allows players to choose how they will play their hands even though they have not seen their cards yet, as they know the chances of the dealer busting or not. After the dealer’s up card is dealt there is a second round of wagers. These bets cannot exceed the amount of the original wager, so if you bet $30 in the first round, your secondary bet should be somewhere between $0 and $30. After the secondary wager round has been completed, the dealer will deal a starting hand of two cards to each player and then the game proceeds just like a regular blackjack game would. Some rules are a little different, for example players can double on any number of cards and even double on splits. There is also the chance for a late surrender and the dealer is required to stand on all 17s. Those are all great advantages for players and the trade-off is that in this versino a natural blackjack only has a 1-1 payout and you play with a Spanish deck (which means the 10 spot cards have been removed, so you only have the face cards to be worth 10). The house edge for this version of blackjack is 0.62%, considering some modifications of blackjack strategy. In order to read how you should modify your blackjack strategy for this variation, keep checking the blog throughout this week as I will make a detailed post about it.